If you’re looking for great riding McDowell County West Virginia has it. This is why we keep coming back. We doubt Dr. Seuss was an ATV rider, but he must have been thinking of West Virginia when he said, “You're off to Great Places! Today is your day! 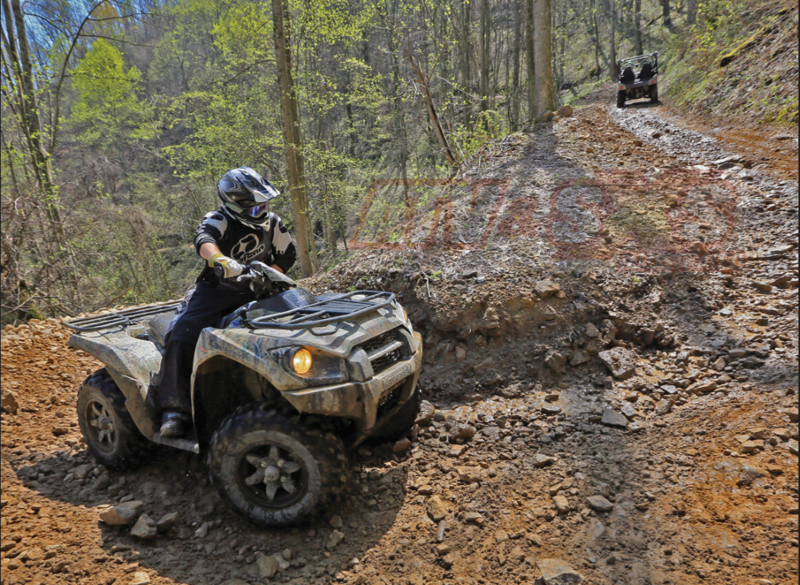 Your mountain is waiting, So... get on your way!” Some of the most spectacular ATV trail riding in the nation can be found in West Virginia. 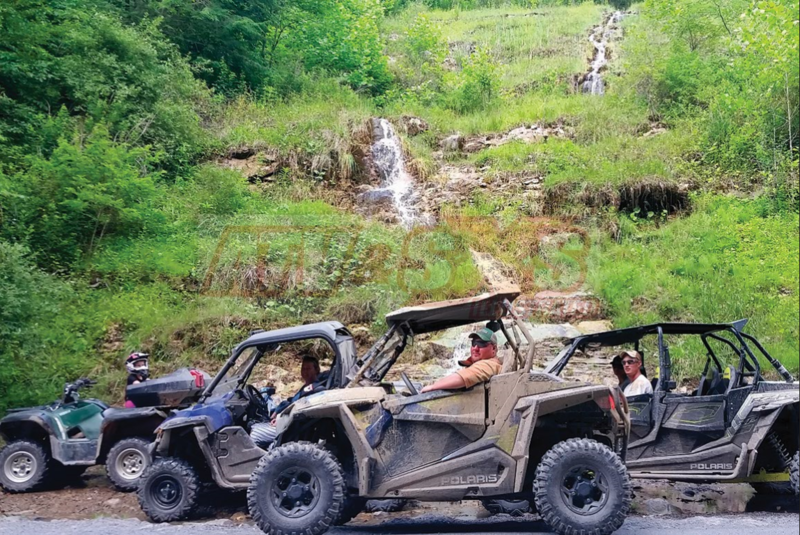 The most well-known trails are part of the Hatfield McCoy system, but that’s not the only game in town. Adjacent to Hatfield McCoy trails is another gem. McDowell County, West Virginia offers rugged and sometimes challenging mountain terrain, meadows sprinkled with wildflowers, bubbling streams, and breath-taking mountain vistas practically at every turn. Best of all are its people. Switchback turns and rocky climbs are common on the McDowell county trails. Wayne and his Kawasaki Brute Force make the most of it. McDowell County WV, the southernmost county in the state, lays claim to once being the largest coal producing county in the nation. They have a rich history above ground too and the area drew fame as home to the “Rocket Boys”. The book (and subsequent movie) written by Homer Hickam, Jr. tells the story of growing up in Coalwood, his dreams of reaching into space, and eventually becoming a key engineer at NASA where he truly could reach the stars. As mining operations below ground changed, opportunities for outdoor recreation above were recognized, one of them being trail riding. The State of West Virginia was the first to actively budget and promote this type of outdoor recreation and today they are well ahead of all others. Doesn’t this look like a great trail to explore? 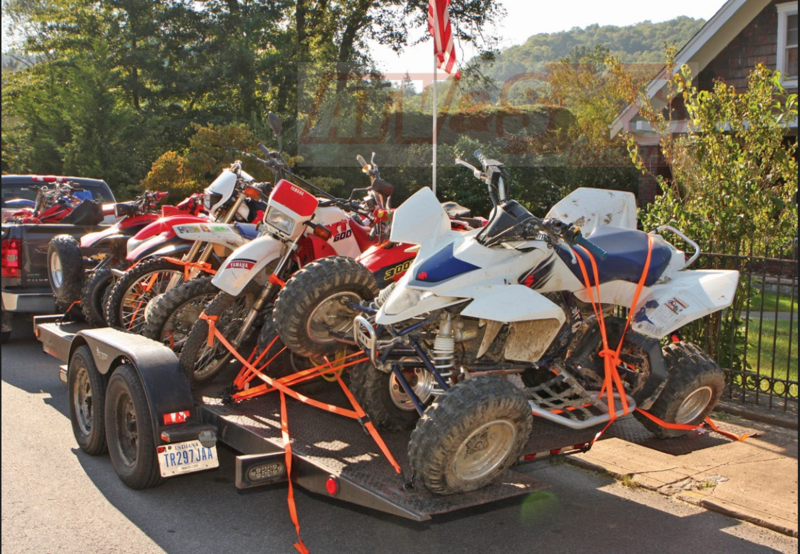 Today McDowell County is well known as an ATV friendly area. Visitors come throughout the year to explore both the trail riding and towns, and in most areas ATVs and Side x Sides are street legal. This makes it very easy to ride from your room to mountaintop, with stops along the way for fuel, a bite to eat, or a quick break. We’ve been there many times and enjoyed it each and every time. Home away from home. This was our cabin at Ashland ATV resort. If you’re going to be riding in West Virginia there are a few things you need to be prepared for. Trail terrain can vary widely, from easy trails to challenging climbs littered with rocks. There is always a little (and sometimes a lot) of mud to be found thanks to water weeping out of the hillsides as well. 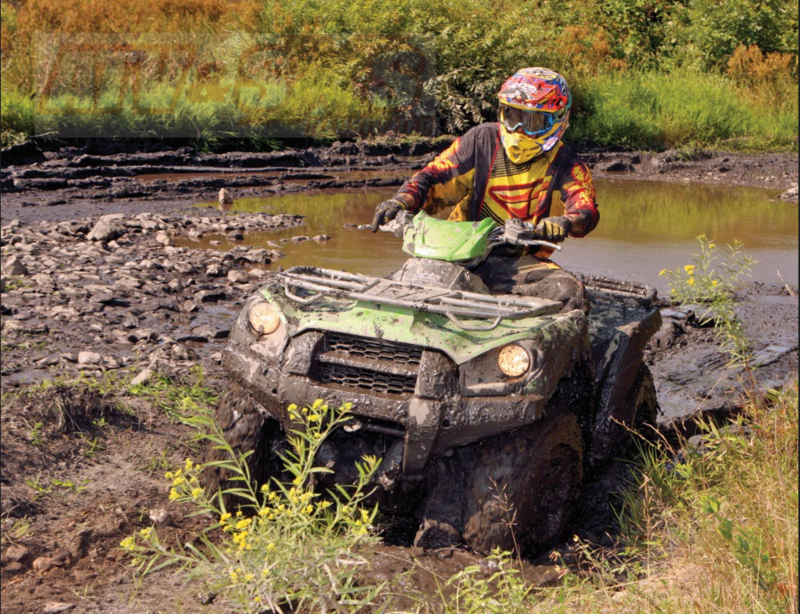 It’s exactly the type of terrain most ATV and Side x Side riders love, but we recommend you bring a tire repair kit and a small 12v compressor along just to be safe. Speaking of safety, it’s always a good idea to bring snacks, water, a few tools and duct tape, a tow strap, and even a small medical kit. Cell service can be spotty, but you’ll want your camera so bring it along. We guarantee you’ll find plenty of places for great pictures. The other thing you should definitely bring along is a map, and even a GPS. 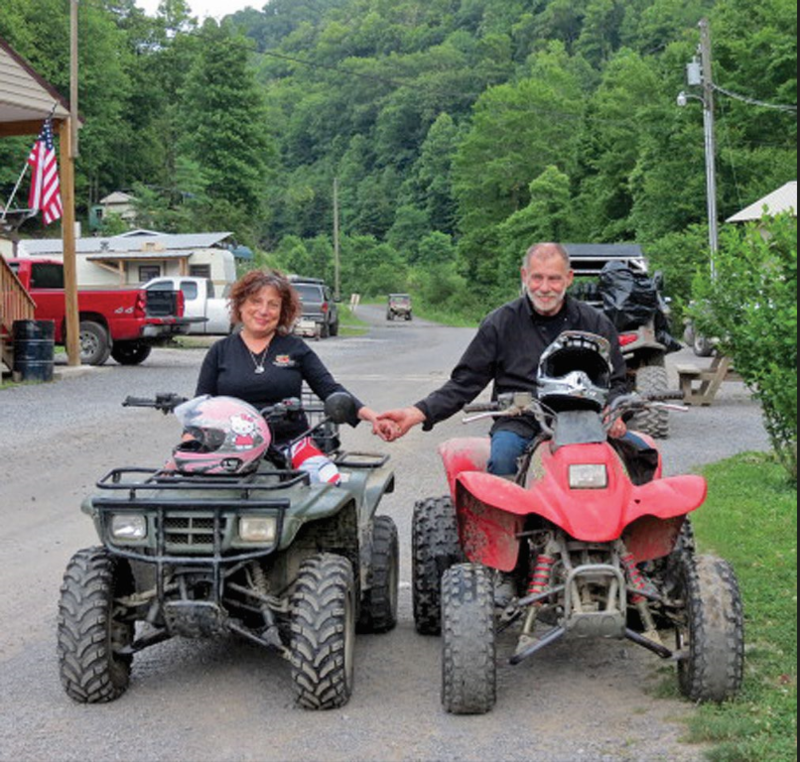 Dan and Elisse Goldstein are great hosts at the Elkhorn Inn, but also great riding buddies! The best place to pick up a complimentary map that can give you the ”lay of the land” is at any of the Hatfield-McCoy trail heads or sticker sales outlets. Their maps are specifically targeted at off-road riders with plenty of useful information. Although the trails of greater McDowell County are not directly a part of the official Hatfield-McCoy system, they are very similar and it’s easy to ride McDowell County one day, then jump on a Hatfield-McCoy route the next. 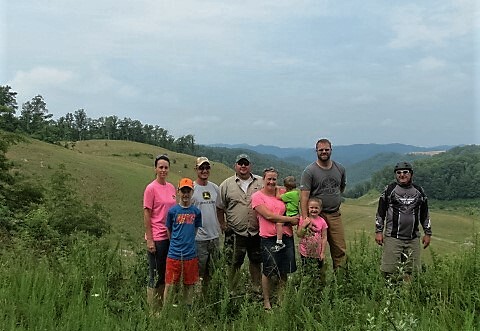 We believe it is likely some of the McDowell County trails will eventually become part of the Hatfield McCoy routes as the system continues to expand. That’s a great thing for all! There is usually mud to be found along the trails, and we couldn’t help ourselves and had to see how deep it was. With any out of town (or even out of state) trail riding adventure you’ll need a place to live for a couple days. This is where McDowell County and the Hatfeld-McCoy region again lead the nation. They welcome off-road riders like no place else, and believe us, we’ve looked! About the only other place that makes it so easy to ride right from your hotel or bed and breakfast room is Mexico. Besides full-fledged ATV resorts (like Ashland ATV resort) there are many choices for clean, comfy places to rest your nugget and relax after a hot shower. Restaurants are also highly accessible, as are most gas stations and convenience stores. It’s unbelievably handy to unload your trailer and be able to drive right to any place you need. Interstates are definitely off-limits, but in many cases towns and municipal areas have created safe routes for full access to town amenities. 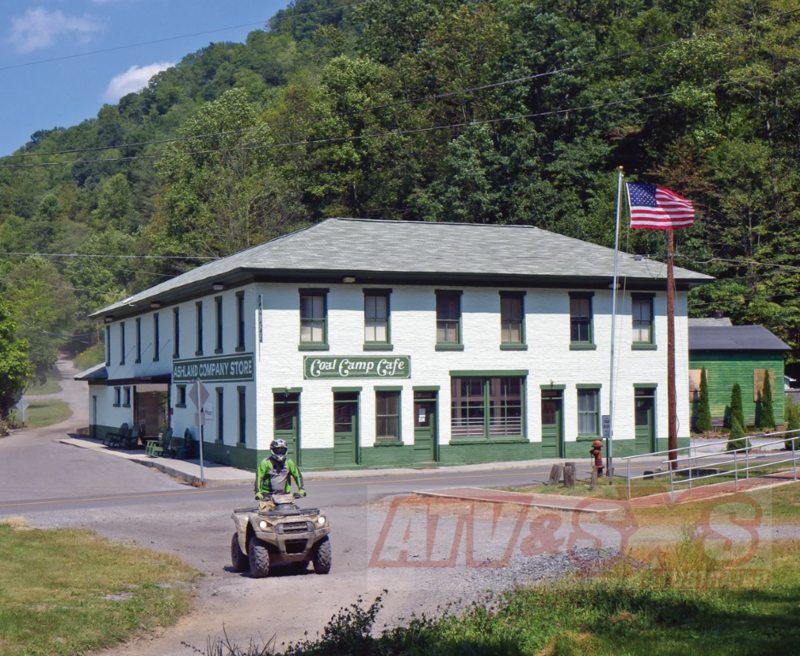 We’ve stayed at many places along the McDowell County trails and here are a few of our favorites. The Elkhorn Inn has received quite a bit of attention nationally for their unique atmosphere, excellent food, and cozy accommodations. 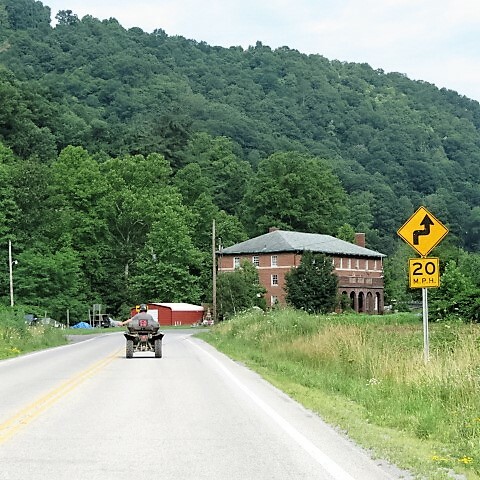 The Elkhorn is located in McDowell County on US Route 52 ("Coal Heritage Road") in Landgraff, WV, between Eckman & Kimball, just 18 miles from Bluefield, WV. The Elkhorn Inn provides bed and breakfast accommodation in 14 air-conditioned guest rooms, and fine gourmet dining by reservation for groups up to 25. During our stay Chef Dan's Vietnamese Claypot Chicken was served with rice and salad, and Flan for desert. As usual, it was truly delicious! 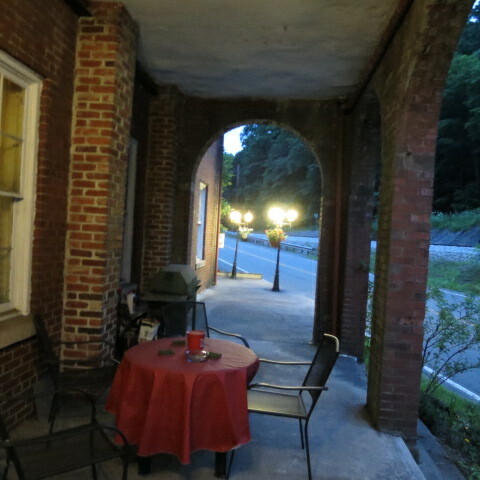 The pet and family-friendly Inn offers FREE Wi-Fi, satellite TV, a balcony & covered rail-view patio, fireplace, and a Gift Shop/Gallery and Museum Room. 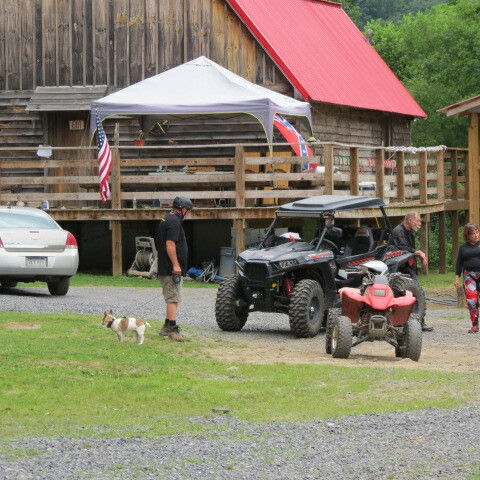 It’s legal to ride right from the Elkhorn parking lot (plenty of parking) to the Hatfield-McCoy Trails or the hundreds of miles of FREE trails in McDowell County. The nearest Hatfield McCoy trailheads are the "Indian Ridge" trailhead at Ashland; the "Pocahontas" trailhead at Bramwell, and the "Pinnacle Creek" trailhead at Pineville. Should you break down, the Elkhorn even has a local mechanic that can help you find parts or make repairs. For the family, ATV club, or group who want the more rustic experience or desire the enhanced privacy of an individual cottage we recommend the Historic Kimball Hideaway. The Kimball cottages are more like a house and offer the extra space for larger groups. All three private cottages can be reserved by phone or website. One cottage is located in Ashland across from the Indian Ridge Trail Head, while the other two are in Kimball and also have access to the Hatfield McCoy Trials. 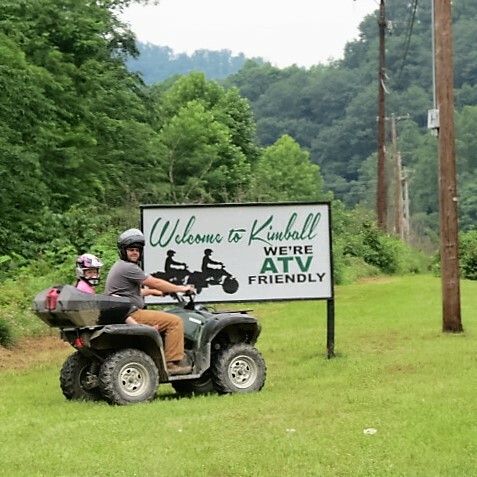 Kimball’s ATV Hideaway makes staying and playing even easier with downloadable trail maps via their website. Cottages include fully furnished kitchens, living rooms, bedrooms, and offer ample parking along with fire pits and a horse shoe area. The Hideaways are designed with riders in mind - the owners of Kimball’s being riders themselves- and their cottages are a home away from home that is great for a weekend or a week long getaway. 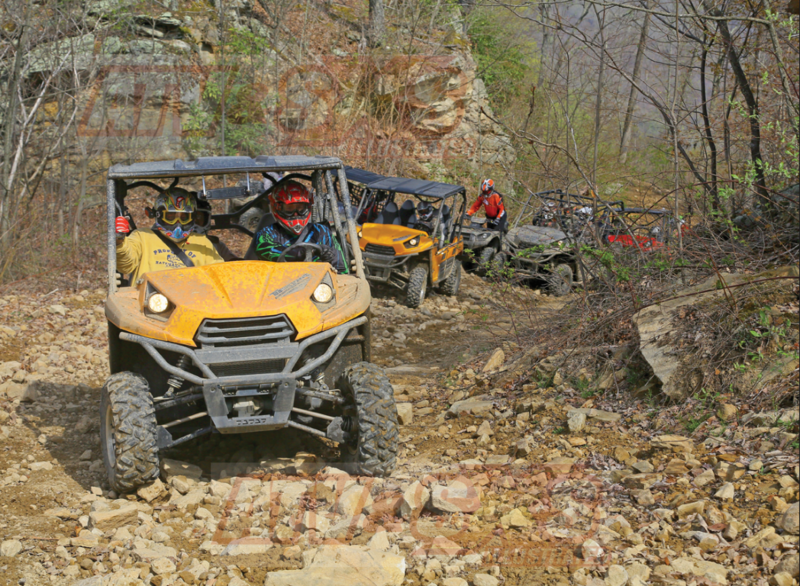 Ashland ATV Resort is located outside of Northfork WV and there are great trails in every direction. 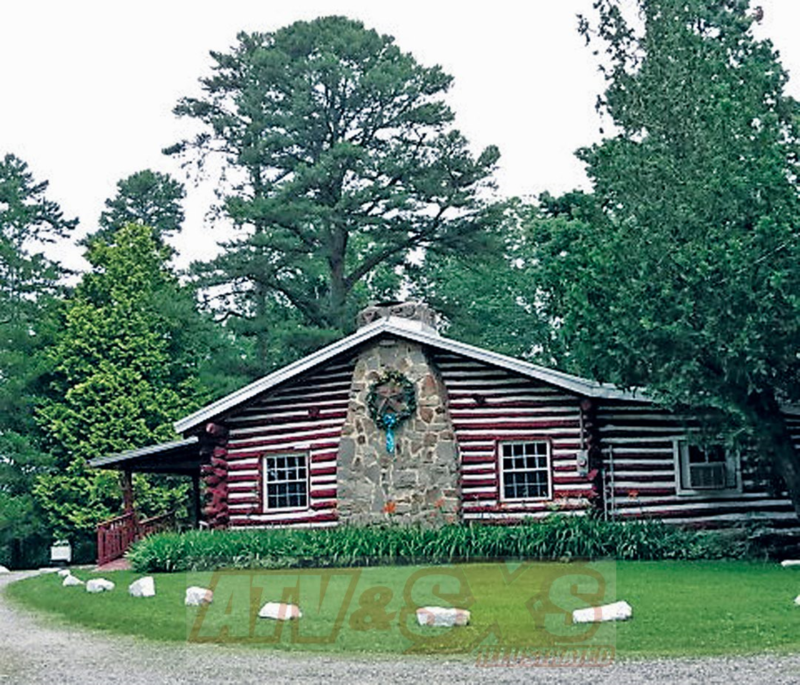 They’ve got many clean, cozy cabins of all sizes and they can accommodate any group. Ample parking for your truck and trailer is right in front of your cabin or camp site. If you prefer camping they’ve got sites that range from rustic to those with full hookups for RVs, and it’s the largest campground in the Hatfield-McCoy Trail System. A well-stocked general store is on site with Hatfield McCoy merchandise, trail passes, snacks, supplies, and of course trail maps. 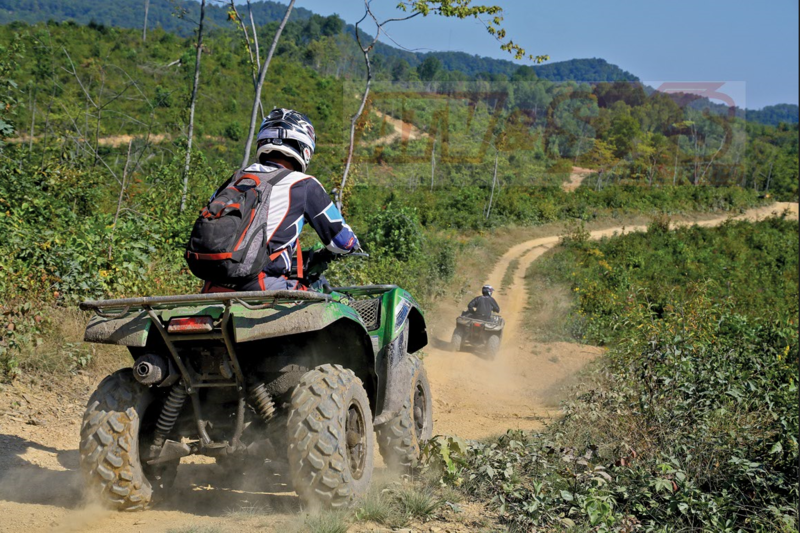 Ashland Resort allows guests and riders direct access to three Hatfield-McCoy Trail Systems and 300 miles of connected managed trails. The Coal Camp Café outside of Northfork is a restored company store that is now a café. It’s right on the trail. During your ride in McDowell County we highly recommend an afternoon trip to Miracle Mountain Wilderness Park. 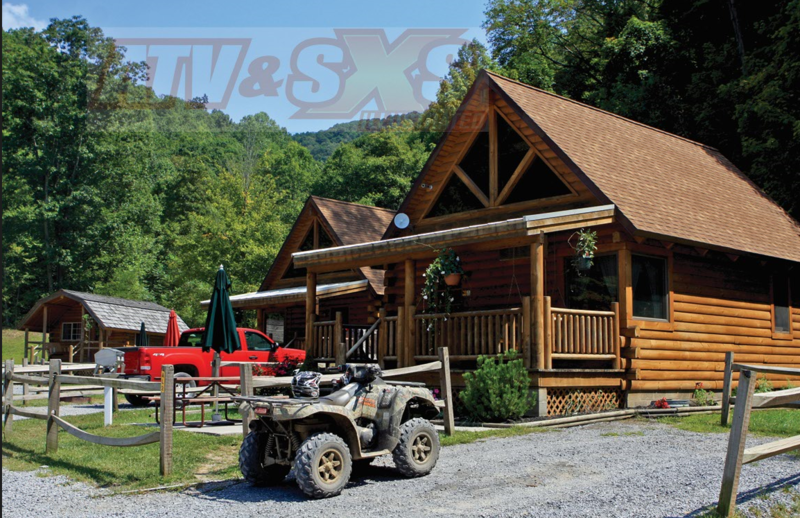 The ATV accessible park offers a rustic 1940s log cabin, an amazing West Virginia mountain view, many picnic tables, and a fully stocked koi pond. (Koi love left over bread crumbs!) From there you can ride to Burke Mountain or to the Black Wolf Golf Course! There are great spots for quick bites, and burger and BBQ places can be found along the way. If you plan a spring ride you can check out one of the many Ramp Festivals in Southern WV. (Note: Ramp is a type of wild onion) Or bring a field guide and pick your own delicious wild ramps in the spring! Wild blackberries are abundant in July, and fall is the annual Trail Fest celebrating all things trail riding related amongst the brightly colored leaves that look every bit like Mother Natures fireworks on the mountainside. For many years the West Virginia state slogan was “Almost Heaven”. They were right. While the baseball movie Field of Dreams inspired the slogan, If you build it they will come, that fits McDowell County and West Virginias wondrous trail system every bit as well. It’s brought us back many times, and we guarantee it will bring us many times more. A trailside stop to check out a waterfall. They’re common, even in the summer, but especially during the spring snow melt.